The news that came out last week from Google that globally more people search on their mobile phones than on desktops should serve as a wake up call for all website owners, and in this case, real estate and mortgage agents, because not caring about how your website and listings look on mobile means loosing lots of potential customers and closings. This actually means that more people are accessing your websites from mobile phones than from traditional desktops. In turn, this means more people are learning about your business, your listings, your products, your mortgage loans and their rates from their mobile phones than from desktops. Google spoke and said if you don't make sure that whatever your sell or write online looks nicer and neater on mobile phones, you are losing many potential customers. John Mueller writes from Google. He made this comment few days ago on his Google+ page. "More than half of Google's searches are now coming from mobile. If you haven't made your site (or your client's sites) mobile-friendly, you're ignoring a lot of potential users." So check the main pages on your website. 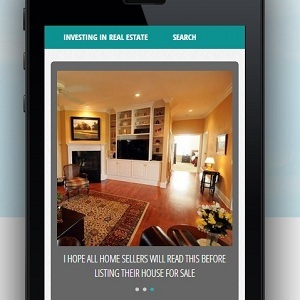 See if your listings can be easily and quickly accessed on a mobile phone. See if the images are not cut and can be seen nicely. See if descriptions and your contact information can be easily accessed. This is only when you can see what your potential customer sees when he or she accesses your listing by searching for a home for sale in his local market. By the way, here is another recommendation Google makes about improving how your website looks like on Google.